Approximately half a million Canadians are living with significant vision loss. Most commonly this loss is a result of Age-related Macular Degeneration (AMD) or cataracts, while many others suffer from eye fatigue due to longer work hours and excessive screen time. In all cases, quality of life is significantly impacted. Eye-Matrix supports healthy vision through multiple mechanisms with a blend of antioxidants and minerals known to have an affinity for structures of the eye. Lutein and zeaxanthin are the major carotenoid compounds found in our diets, predominantly in dark leafy green vegetables. Lutein is found primarily in the periphery of the retina, in rods known to work under dimly-lit environments. Zeaxanthin, on the other hand, concentrates highly in the center of the macula, in cones responsible for color vision. Collectively, lutein and zeaxanthin work together and are able to reduce the risk and slow the progression of AMD and cataracts by filtering blue UV light which can be damaging to the vital structures of the eye. 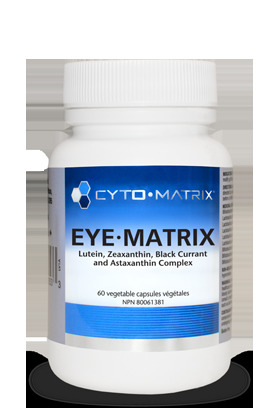 Another carotenoid included in Eye Matrix with well-established benefits for vision support is astaxanthin. Astaxanthin is a potent antioxidant responsible for the characteristic red pigment seen in seafoods such as lobster and shrimp. It has been shown to independently improve far visual acuity and reduce eye fatigue in those spending high amounts of time in front of computer screens. Black currant extract provides anthocyanidins that support vascular flow to the eyes and increase rhodopsin production necessary for night vision. Through these mechanisms, research has shown that black currant extract supports the ocular muscles, reduces vision fatigue and improves dark adaptation. The addition of Vitamin C helps to further support the blood vessels of the eye and has also been shown to reduce the risk of AMD and cataract development. Rounding out the formula, zinc and copper are included in Eye-Matrix for added protection against AMD and night blindness. Both are found in their highly bioavailable forms, chelated with the amino acid glycine. All in all, Eye-Matrix offers a well-rounded solution to a variety of visual health concerns. Indications: Helps to maintain eyesight in conditions associated with sunlight damage, such as cataracts and age-related macular degeneration. Helps to reduce the risk of developing cataracts and improve macular pigment optical density. Directions: Adults-Take 2 capsules per day with food containing oil/fat, or as directed by a healthcare professional. 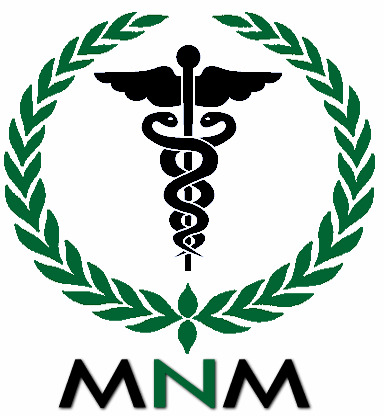 Non-Medicinal Ingredients:Vegetable-grade magnesium stearate. Capsule: hypromellose.